This summer new collection offers this red colored top that will surely impress fashion-conscious women. 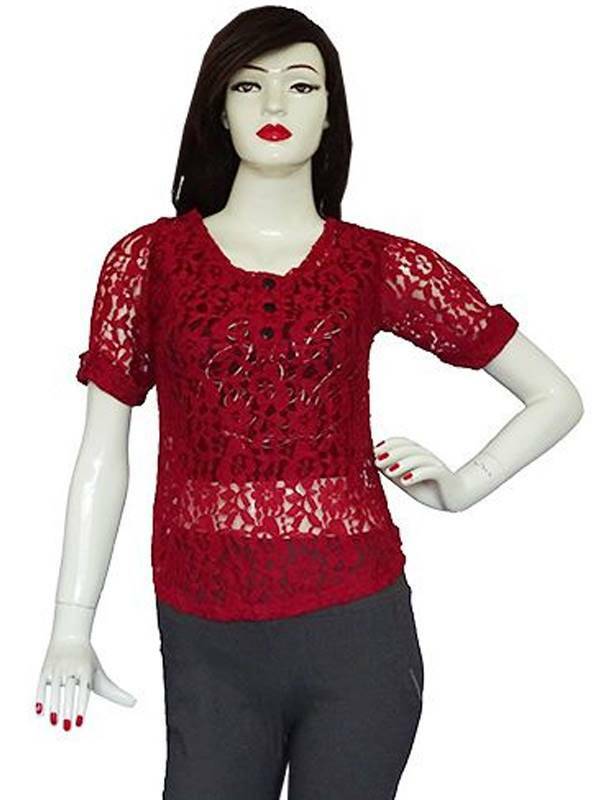 This stylish lacy top featuring a soft net detailing is something you will instantly fall in love with. This regular-fit top can be comfortably worn all day long. You can wear a camisole or spaghetti underneath it for a perfect look.